ffering quality rehabilitative care as well as excellent long-term care. We recognize how important it is to select the right health care option to meet your individual needs. 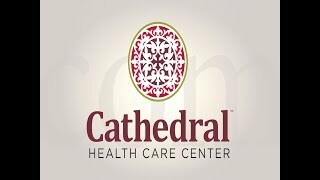 Cathedral Health Care Center has the programs and support services to assist you and your loved one as their care needs increase or decrease. It is our goal to meet the needs of each resident while maintaining the privacy, dignity, and integrity of each resident. That�s why our philosophy at Cathedral Health Care Center is "Residents First". This philosophy affects everything we do; from caring for our residents to the manner in which we conduct the business and operations of our company. I think Cathedral is marvelous! The nurses, aides, Activity Director go out of their way to be helpful. With my disability, my urostomy, the staff help me out a lot. The people are so nice! Very efficient and do their work. The rehab team/department is great as well. It's just remarkable that Cathedral has such great people to do such difficult work. From the top to the bottom, everyone is GREAT! I really appreciate this place for all they do and have done. It's a good place. It's fine, just fine! Staff are helpful, I get to do the activities I like to do. The food is good, facility is clean, and the chapel is available to me anytime I wish to pray. No other facility around has an actual chapel or church and that to me is the best! 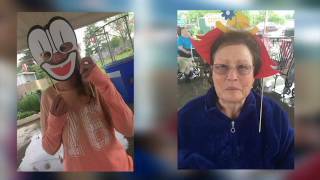 Cathedral Health Care Center provides a safe, nurturing, comfortable environment where our rehabilitation and long term care residents will find fun, laughter, and opportunities to enjoy life. Our residents are treated with respect and dignity by highly qualified, compassionate and exceptional staff.